Image: Marvel Comics. Unbeatable Squirrel Girl #19 cover by Erica Henderson and Rico Renzi. Shortly after it was announced, New Warriors was picked up straight-to-series at Freeform, ABC’s youth-oriented channel. But now Squirrel Girl and her friends are apparently looking for a new channel to air on—and reports suggest its options are limited. 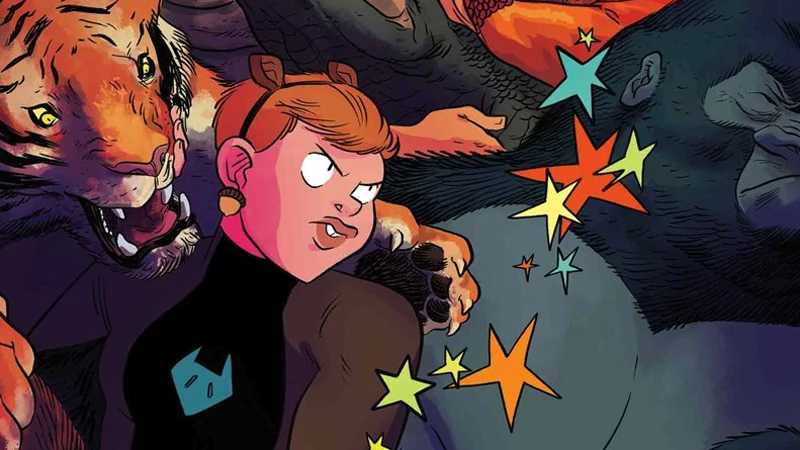 The Hollywood Reporter has revealed that Marvel and Freeform went separate ways for New Warriors after Freeform realized it would not have a slot to premiere the 10-episode comedy series—starring Milana Vayntrub as the Unbeatable Squirrel Girl alongside members of the classic comics team that’s... well, probably best known at this point for helping to kick off the Civil War event by accidentally blowing up half a town—in 2018. With Marvel eager to air the series next year, a decision was made to shop the show elsewhere. But intriguingly, THR’s report notes that Marvel is finding itself with limited options to find a new home for the series—because Marvel is no longer allowed to sell shows outside of the Disney family of networks and services. That move could mean that Marvel ultimately puts New Warriors on Disney’s new streaming service launching in 2019, but even that could be a long shot given that the company is very keen on running New Warriors next year. While THR says Marvel is looking at other streaming services for New Warriors—noting the company would want a 2-season pickup and a quick deal to start production in January 2018—the rumor that Marvel can no longer sell shows outside of Disney-owned channels paints an intriguing and potentially perilous future for its partnership with Netflix for the series in its Defenders line of streaming shows, or with Hulu in a post-Runaways world. If New Warriors ends up somewhere within Disney next year, the future of Marvel shows on other streaming services could be in doubt.